Panorama’s latest undercover investigation took as its theme the abuse of the NHS by “health tourists” and illegal immigrants, setting three undercover reporters the task of seeing if they could gain access to treatment via using assumed identities. Although it helped to highlight significant flaws in the existing system and unearthed a murky underworld where access to the NHS is illegally purchased from unscrupulous middlemen, it left a number of questions untouched, but given the limited length of the programme and the depth of the investigation, it can perhaps be forgiven for not having addressed still more facets of this problem. It is only natural that anyone in long-term pain or suffering from illness should go in search of a cure or treatment should the opportunity to do so afford itself. In a world in which global transport and communications have revolutionised the ability of people to travel between countries and continents, and border controls in the UK have been scaled back, there exists a natural temptation for citizens of other states where there is inadequate healthcare to come to the UK to take advantage of the NHS. These are “health tourists” in the strict sense of the term, but there is also the issue of the large number of illegal immigrants resident in the country who also use the NHS. Guidance relating to who is and who is not eligible to NHS treatment is opaque and complex, and whereas the instinctual reaction of those working in the medical profession is to offer treatment to those in need, the reality is that we are already denying our own citizens medical care and treatment because we do not possess the necessary funds to offer this, so how in effect can we justify providing treatment to “health tourists” and others who are not eligible to receive these services? It is manifestly unjust that our citizens, who have contributed via National Insurance and taxation to the NHS, should effectively be denied treatment because those who have contributed nothing are abusing the system. Such abuse is in fact helping to erode public support for this aspect of the welfare state, as well as reducing the ability of the NHS to deliver the services that we deserve. 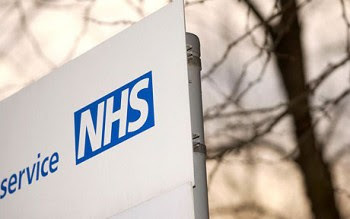 However, it should be noted that hard statistics relating to the costs incurred are hard to come by, and although they are significant, they are thought to be relatively small in terms of the overall annual NHS budget. In 2012 for example, the NHS budget is estimated to be some £104 billion, yet one estimate provided in the Daily Mail in a story on “health tourism” that it ran in June this year, suggested that the treatment of “those from outside the EU who have lived in the country for less than a year” amounted to £200 million, or approximately 0.2% of the total budget. Still, this is a useful sum of money that could pay for a lot of treatments, and time spent treating somebody who is not entitled to treatment, is more time spent on a waiting list for someone who is. One of the reasons why this phenomenon has grown to be such a problem was alluded to in a comment made by Panorama presenter Declan Lawn in the introduction to the programme when he described Britain as “one of the most multicultural societies on Earth.” Presumably, many personnel within the NHS must be justly concerned that they may be accused of ‘racism’ if they demand proof of identity from certain patients. Moreover, the programme made clear how confusing NHS guidance on who was entitled to register with a GP, although the situation with respect to who should receive treatment in hospitals was rather clearer; that said, use of the qualifying term “ordinarily resident” combined with government guidance of over 100 pages in length make the process of who meets the criteria difficult. One undercover reporter pretended to be a Nigerian health tourist with “restless leg syndrome” and managed to gain initial registration with a GP for a fee of £300 charged by a fixer (also of African origin), whereas another undercover reporter took on the assumed identity of an illegal immigrant from Kosovo with a bad back, who managed to obtain an NHS card for a fee of £200, and so it went on. The documentary made it clear that for those with the money and the right contacts it is perfectly possible to obtain an NHS card and thereby gain access to free treatment. Quite how widespread this is, we cannot know, but evidently some unscrupulous people are profiting from this situation and the system is open to abuse. A Migration Watch spokesman made the point that Attlee and Bevan had intended to set up a National Health Service, not an International Health Service. Some campaigners however, think that the NHS should treat everyone. As mentioned earlier though, we simply do not possess the resources to treat our own people, let alone “health tourists” and others who are not eligible. Clearly, there are some illegal immigrants who are in a desperate situation through no fault of their own, i.e. those who have been brought into the country in conditions of near slavery such as those who have been trafficked for sexual exploitation. It would be callous indeed to deny them emergency treatment, and ultimately the solution to the abuse of the NHS lies with a robust approach to immigration that will enable us to continue to provide the universal healthcare to all of our citizens that they deserve. Without gaining effective control of our borders, how can we hope to provide meaningful healthcare for our citizens? The standards and scope of treatment within the NHS ought to be improving year upon year, not getting worse, but we can only ensure the former if we possess the funds with which to achieve this. Tackling illegal “health tourism” and putting in place effective border controls can help us to ensure that the scarce funds available are allocated to the best effect. In the interim, until such controls are put in place (assuming that a party willing to institute such changes to our border regime is ever elected), targeting those who facilitate the abuse of the NHS ought to be looked at more seriously with a view to reducing its prevalence. This programme was a real eye opener. I had no idea we were being 'taken for a ride' on such a huge scale. I could not believe it when the G.P. said he was now obliged to deal with ANY visitor to the U.K. free of charge or the lawyer who has taken 30 - 40 cases to trial in the last two to three years against doctors who refused medical care to illegals and won every one of them or the fact that illegally gotten national insurance numbers can be used by people who are not British if they travel to Europe and get taken ill. It was all staggeringly unbelievable. Worst of all the Health Minister, Anna Soubry, did not seem much phased by any of this and did not inspire confidence that anything was being done urgently - we have to wait for a report next year! Yes, the interview with the lawyer was rather disconcerting. It really does seem that most mainstream politicians have given up on us, and couldn't be bothered about what we desire regarding stabilising our population and guaranteeing the provision of decent healthcare. You can't help wondering whether the perpetuation of the Jimmy Savile story is being orchestrated to bury this bad news. Child abuse is bad but surely somewhat less of a current problem in this case as the 'alleged' perpetrator is dead. I was incandescent while watching the Panorama programme but found hardly any reaction in the press this morning. If a minister uses the 'p' word it's a national scandal, but if a minister just shrugs at this disgrace and simply points to a review next year, as though the problem is some unavoidable natural disaster, there's hardly a murmur. Unbelievable ! Well, the Saville case is naturally repellent, but as you point out, the issues raised in this issue of Panorama do merit wider media coverage than they have been accorded.